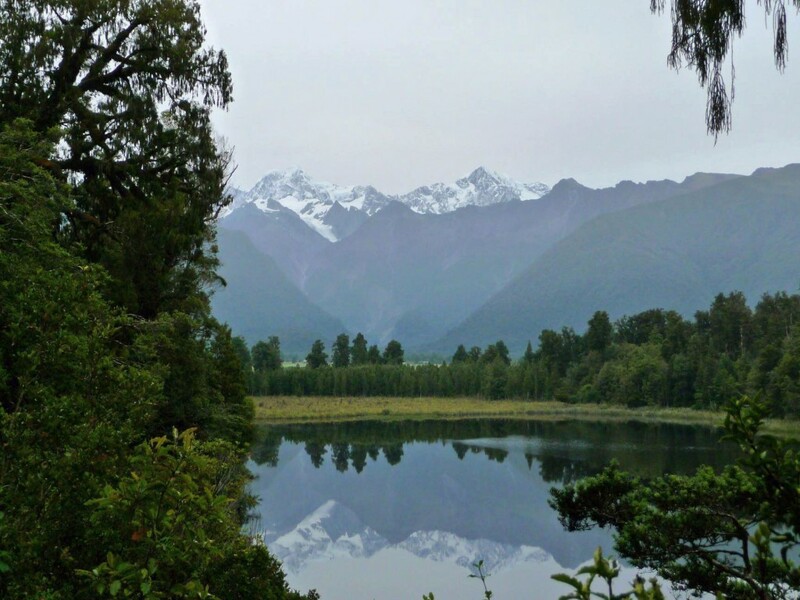 Near Fox Glacier lies Lake Matheson. Not a stunning lake by itself, but it’s location lends it to something special that features in numerous postcards from New Zealand. That something special, is a reflection of Mt. Cook and the Southern Alps. After staying in Christchurch, we hit up Kaikoura next, with some success. The first day was fantastic – the other 3 got out onto a Whale Watching tour, saw 3 whales, some albatrosses and several dolphins. Marc and Alexandra then went skydiving, something that was high on their list of things to do in New Zealand, but hadn’t had the weather for so far. And we had a very tasty dinner. All in all, a very good day! The next day the weather wasn’t cooperating, so the three unfortunately had their dolphin swim cancelled (one of my favourite memories here in New Zealand). 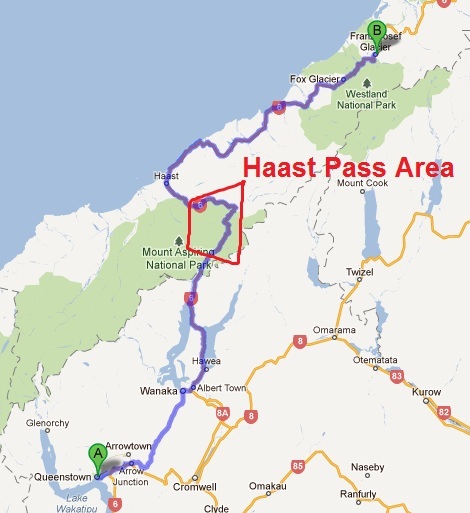 That was very disappointing, but we still enjoyed the Kaikoura Peninsula walk before heading through the scenic Lindis Pass over to Greymouth, to spend the night there. 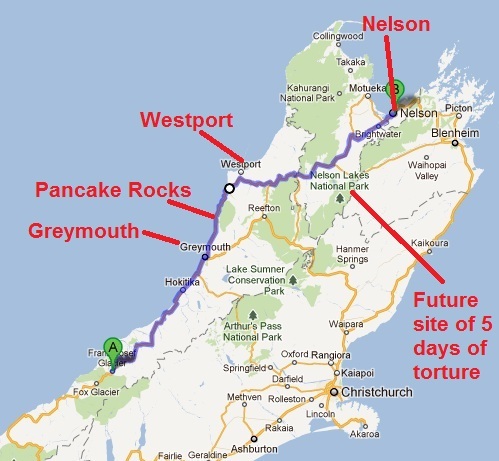 The next morning we drove up to Pancake Rocks, took in the sights, and then headed to a very soggy walk of Franz Josef glacier. The forecast for the next day was finally calling for some decent weather though…just in time. 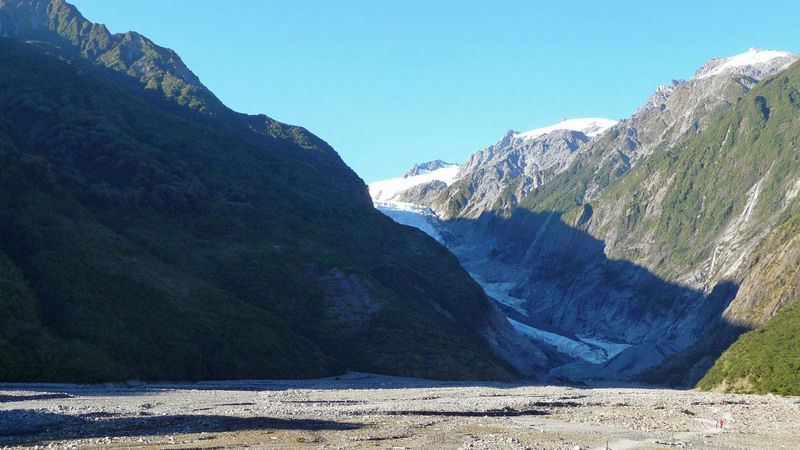 Here is a pretty quick recapping of my first few days of 2012 on the South Island. After an early morning wakeup, Hung, Markus and I were on the ferry leaving Wellington, heading to the South Island.